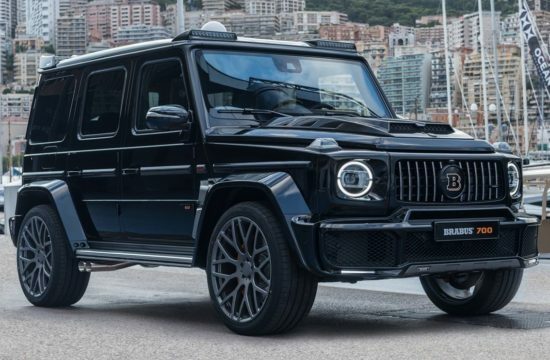 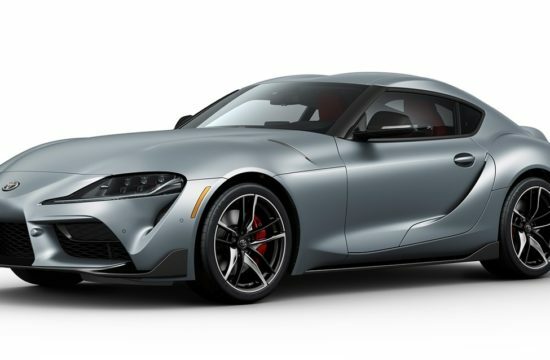 So far at the SEMA show 2017 we haven’t really seen too many custom C-HRs, which is curious, given how ripe a car like this is for special treatments. 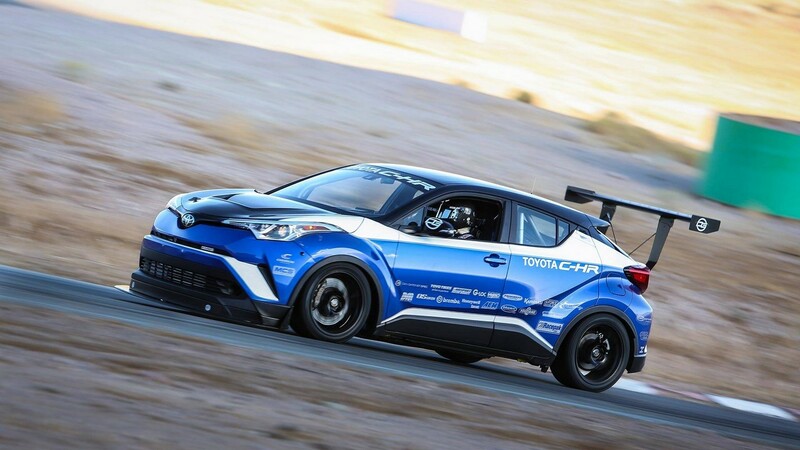 But this is one of the good few, the Toyota C-HR R-Tuned, turned by the famous firm into a 600-hp track monster. 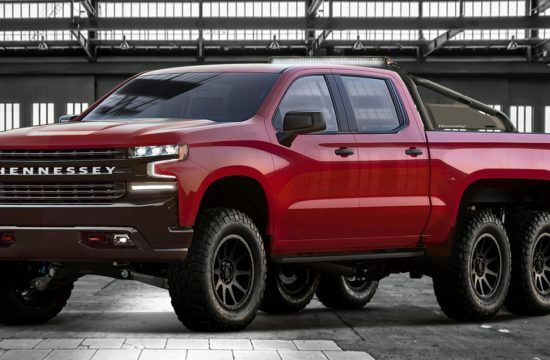 This is interesting because when people think of modifying crossovers they think of offroading and such. 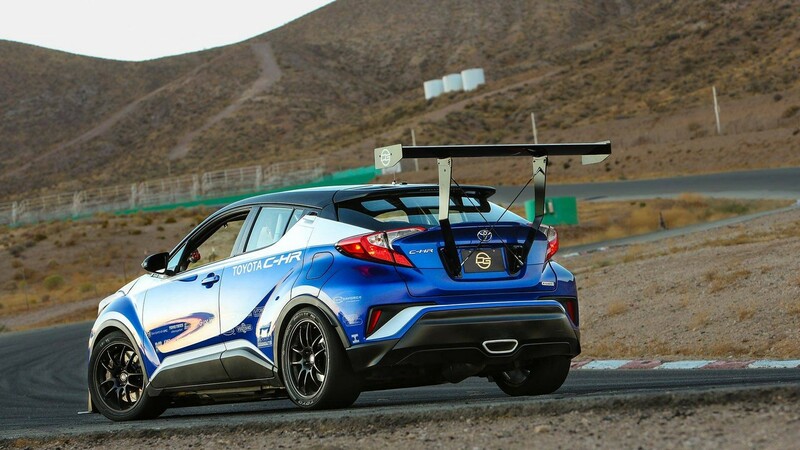 But R-Tuned decided to go the exact opposite route, enabling the C-HR to best some of the most serious supercars on the race track. 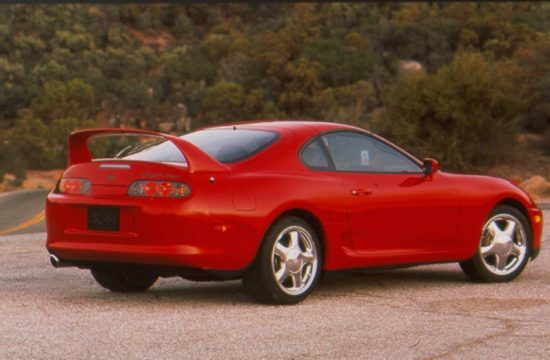 And this is not just hot air, either. 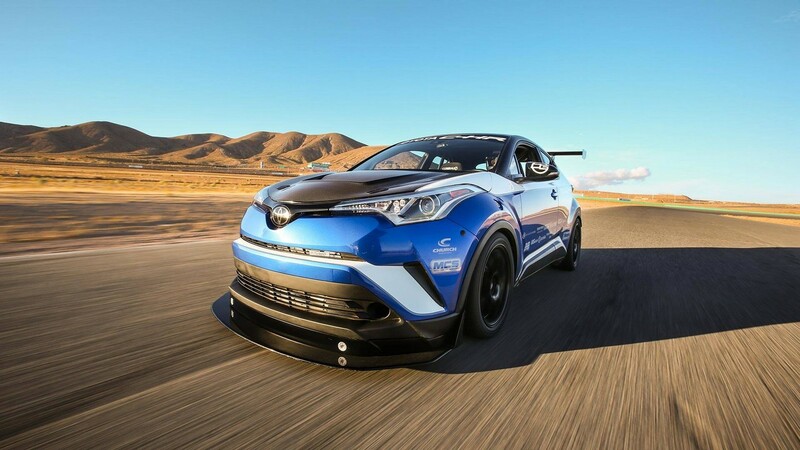 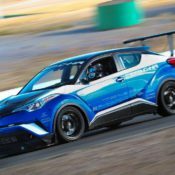 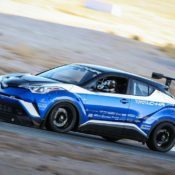 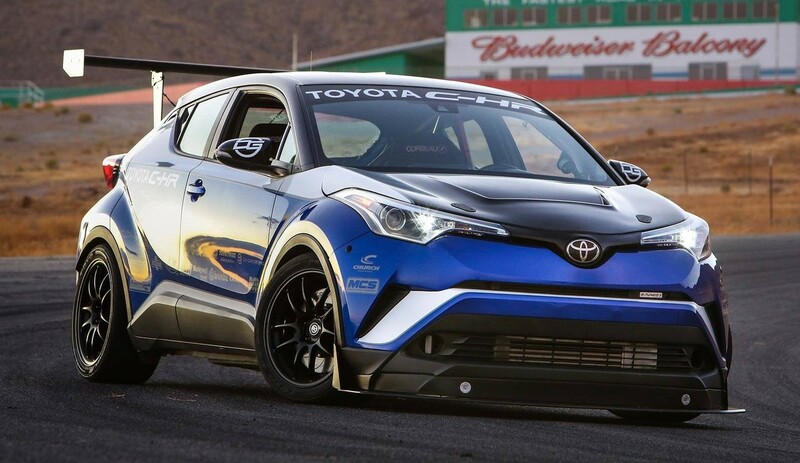 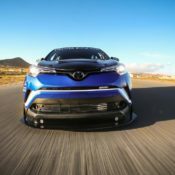 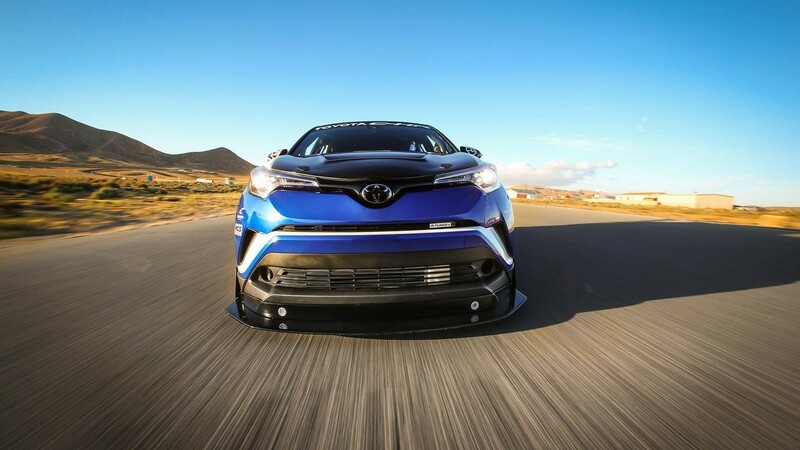 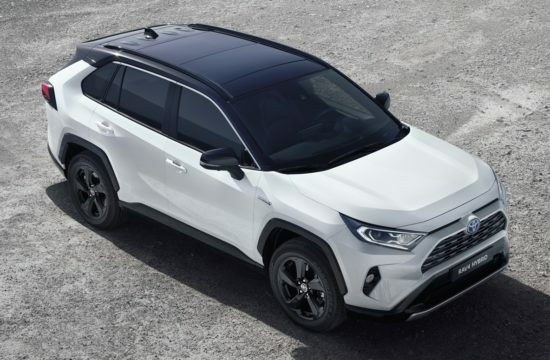 Toyota C-HR R-Tuned has already been around Willow Springs International Raceway’s (California) 2.5-mile “Big Track,” where it set a time of 1:25.22. 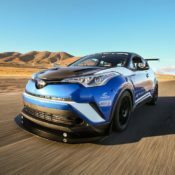 According to Toyota that is faster than McLaren 650 S Spyder, Porsche 911 GT3, and Nissan GT-R NISMO. 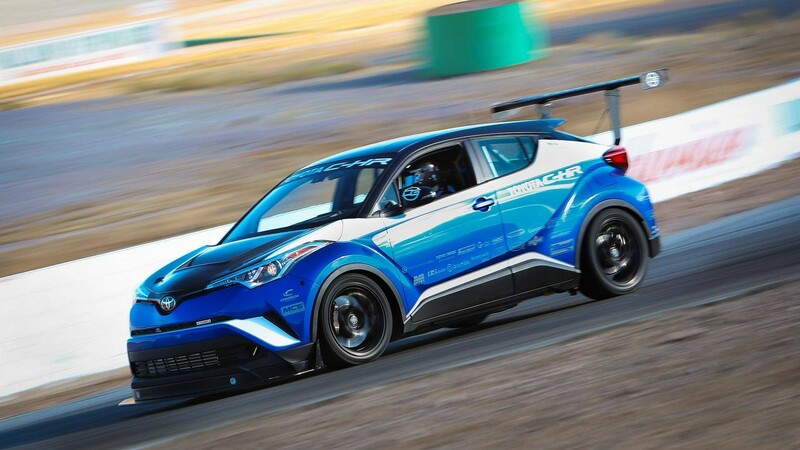 The key to the amazing performance of Toyota C-HR R-Tuned is a heavily tricked-out 2.4-liter Toyota 2AZ-FE upgraded with Dezod-supplied forged internals, a titanium and Inconel valve-train, and a custom DG-Spec Garrett turbo system.Making the best of the 600 horses this setup makes is a OS Giken limited-slip differential so even though it’s still front-wheel-drive it doesn’t handle like a clown car. 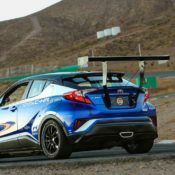 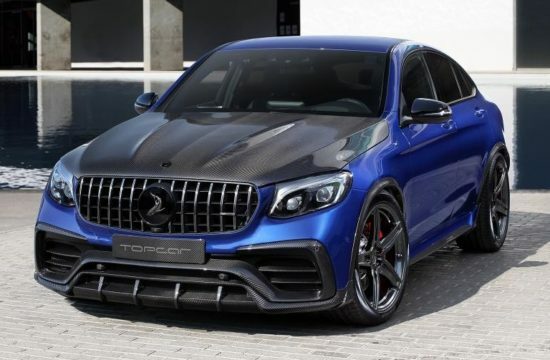 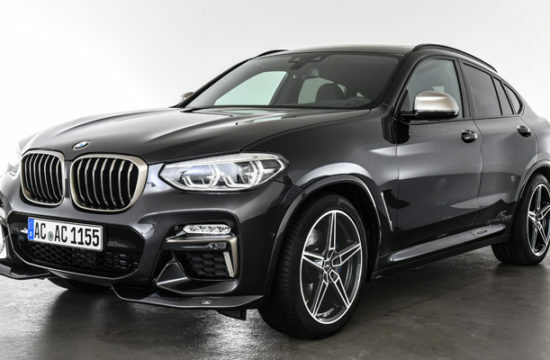 Brembo racing brakes with 14-inch rotors, triple-adjustable DG-Spec Motion Control Suspension (MCS) motorsports dampers, high-performance Toyo tires and a massive aero kit are among the other highlights.